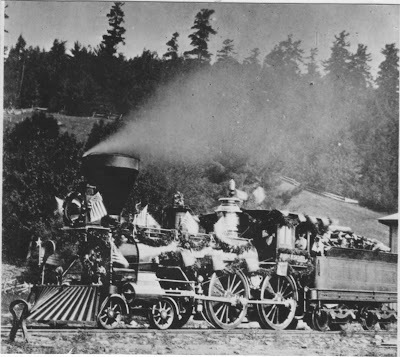 On June 6, 1880 the enginehouse of the C&SVRR burned, damaging the road’s two engines and destroying a baggage car. The names of the engines were “The Otsego” and “Middlefield”. Two extensions of the C&SVRR were authorized by the State. The first was in 1869 from Cooperstown to Richfield Springs. The second was in 1885 for an extension from its “southern terminus … to or near the ‘Hemlocks’ on the Charlotte creek in the town of Davenport”. In 1888 Articles of Association were filed for the Cooperstown and Charlotte Valley R.R. Co. (C&CVRR) The C&CVRR was likewise authorized to build from the “Hemlocks”, but only as far as the lands of Matthew Ward in the town of Davenport. In February 1891 the West Davenport R. R. was chartered. It was authorized to build from the West Davenport depot of the C&CVRR to the lands of “the McLaury sisters a short distance east of the Kort Right Brook”. 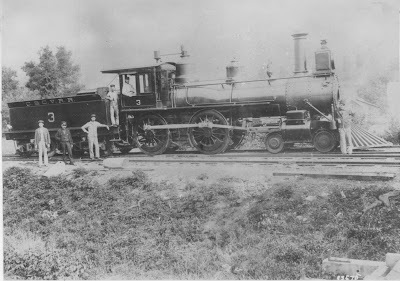 On April 13, 1891, the C&CVRR and the West Davenport R.R. were consolidated. Two days later the C&CVRR leased the C&SVRR. The line was formed by “men in Cooperstown” in 1888 because Thomas Cornell was “procrastinating” in extending the Ulster & Delaware west from Bloomville to Oneonta. 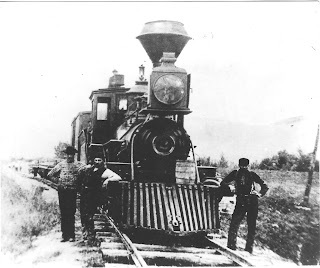 The plan was to extend the existing line from Cooperstown to Cooperstown Junction east. 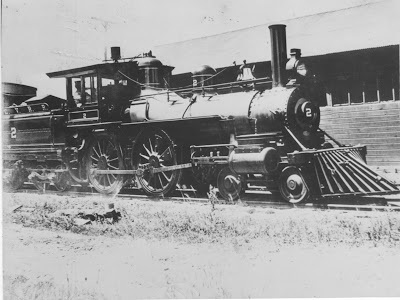 The intended route was “along the Charlotte Valley through Davenport Center, Harpersfield, thence to Cooksburg, onetime terminal of the Canajorie & Catskill, and down Catskill Creek to a connection with the West Shore Railroad”. For several years there was a “Tally Ho” stage between Bloomville and Davenport Center for those who wished to travel from Kingston to Cooperstown. 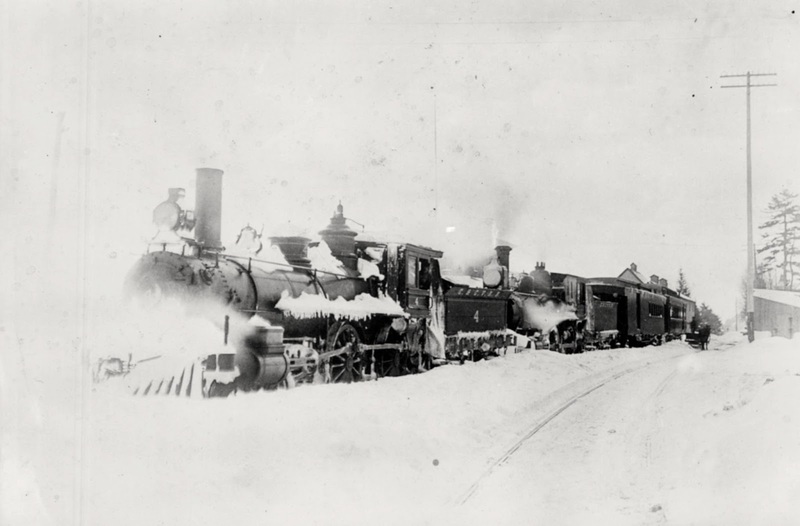 In March 1899, the U&D began work west of Bloomville. When they reached Davenport Center, “no connection with the C&CV tracks was made, the new line traversing Charlotte Creek on a steel bridge, then following the north bank of the creek to West Davenport where a connection was made with the C&CV, the two roads using a joint station”. Passenger service from Cooperstown Junction ceased in 1903. In 1934, the New York State Public Service Commission permitted the discontinuance of passenger service on the C&CV. The last scheduled passenger train left Cooperstown on June 24. 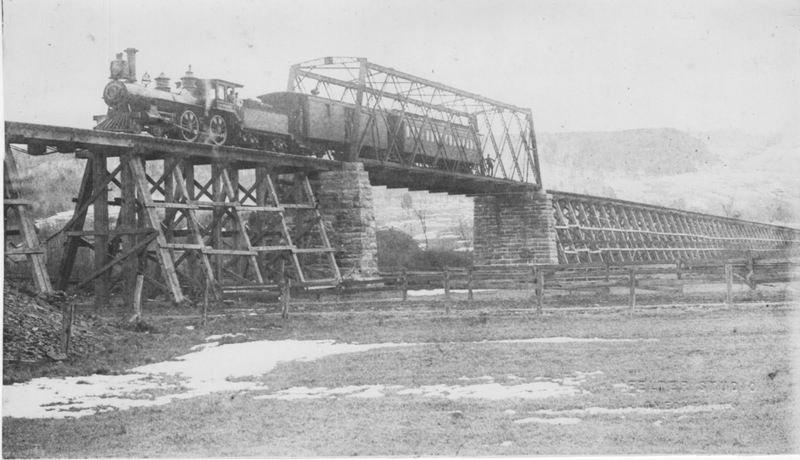 Under Delaware and Hudson Company ownership, the C&CV became known as the “Cooperstown Branch” and was used “for freight only until 1930 when the rails were pulled up”. 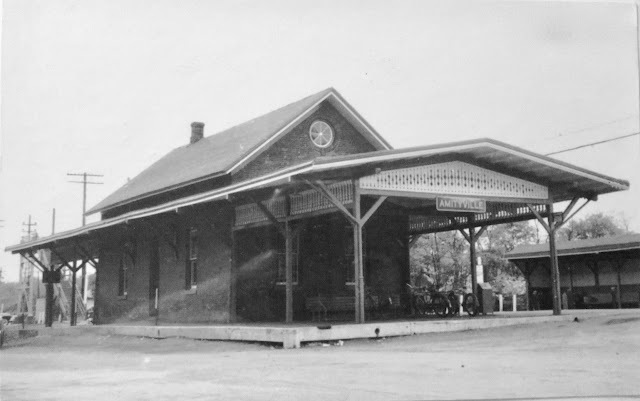 The D&H built an ornate stone station in Cooperstown shortly after the takeover. Along with a branch to Cherry Valley, New York, the former C&CV line became a rural feeder into the D&H mainline. The D&H constructed a turntable and small locomotive maintenance facility in Cooperstown which were removed in the 1950s. The C&CV was merged into the D&H effective March 1, 1957. On September 10 and 11, 1949, the New York Freedom train visited Cooperstown, drawing over 4,000 visitors. The line carried on a quiet existence, using S unit type Alco switchers and even an RS-11 made an appearance in the 1960s. Through the 1960s the former C&CV line experienced declining traffic under D&H ownership. The remaining segment of the C&CV line from Cooperstown Junction to Cooperstown was sold by the D&H in 1970 to Delaware Otsego Corporation The sale took place after Delaware Otsego was forced to sell an ex-New York Central Railroad line, following the construction of Interstate 88 between Binghamton and Albany. Delaware Otsego resurrected the C&CV name which was last used in 1903 when the company was merged into the D&H. 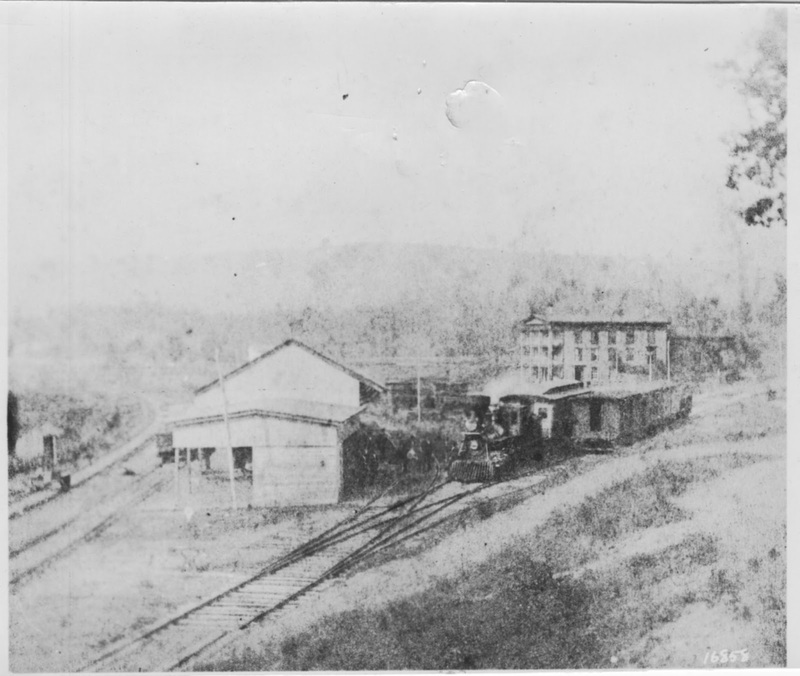 The CACV built new locomotive maintenance facilities at Millford and the headquarters for Delaware Otsego Corporation were located in the former Cooperstown station; the stone passenger station that the D&H built shortly after the 1903 takeover of the C&CV having been sold during D&H ownership. The CACV operated a heritage railroad during the 1970s using an ex-Virginia and Blue Ridge Railroad 0-6-0 steam locomotive until 1974 and diesel locomotives for the remainder of the decade. Excursions trains continued with diesel locomotives on weekends until the mid-1980s. Freight traffic on the CACV declined by the early 1980s to several cars per week, typically loads of lumber in Portlandville, animal feed at Agway in Milford, and several customers in Cooperstown. The CACV was used during the 1980s to store large numbers of idle St. Lawrence Railroad boxcars. The last CACV freight train operated in December 1987, followed by infrequent equipment moves until being purchased by the Leatherstocking Chapter of the National Railway Historical Society in 1996. The Leatherstocking Railway Historical Society (Leatherstocking Chapter NRHS) purchased the line from Delaware Otsego Corporation in 1996. Volunteers performed vegetation removal and trackbed rehabilitation before the line was reopened for seasonal passenger excursion trains between Cooperstown and Milford in 1999, retaining the CACV name. The southern half of the line provides a connection to the Canadian Pacific Railway the current owner of the D&H. Initially, the CACV leased a former New York, Ontario and Western Railway locomotive as well as two locomotives from the Green Mountain Railroad. It currently owns and operates a pair of ex-Canadian National Railway switchers built at Montreal Locomotive Works (Alco S-4 and Alco S-7 designs) which were acquired from Atlas Steel in Welland, Ontario. These locomotives continue the numbering scheme used by the D&H for its S series switchers (CACV #3051 and #3052). Both both units have been painted into a D&H scheme, with CACV lettering. C. & C. V. No. 2 after rebuilt in 1898 with a straight stack. Taken at Milford that year. Retired in 1925 after 56 years of service. 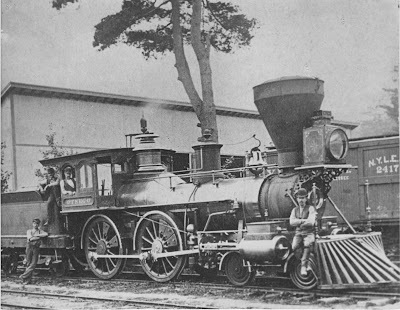 C.& C. V. #2, "Otsego," at Cooperstown in 1882. Changed to standard gauge, 1876. C.& C.V. No. 2, "John F. Scott. " Built 1869, woodburner, 6 foot gauge. 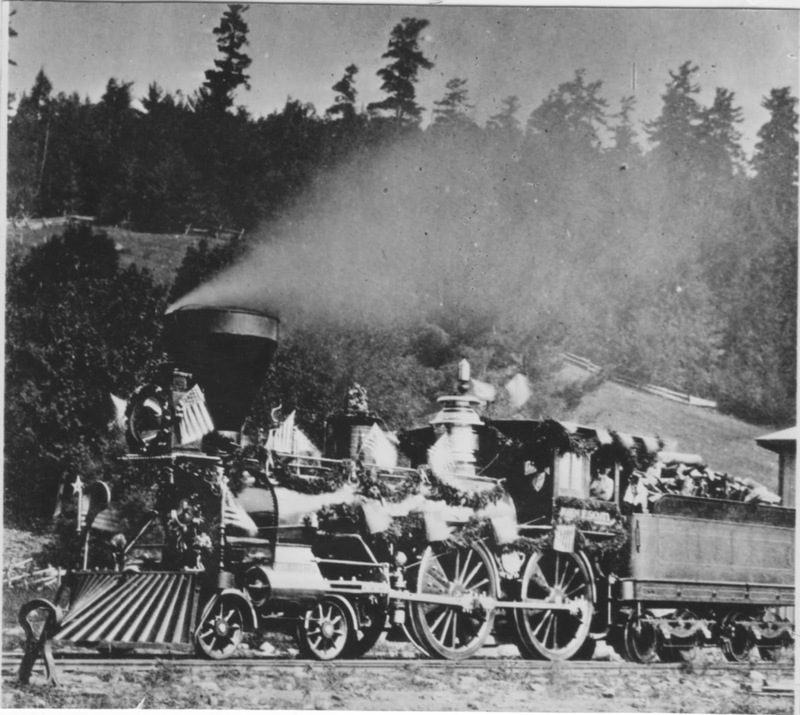 Decorated for the opening of the road, at Cooperstown, July 14, 1869. C.& C. V. Engine No. 1, the "Ellery Cory," built in 1869, six-foot gauge, is shown at Cooperstown Junction in 1870. C. & C. V. 2nd No. 4, lead engine, brings in a used engine purchased from the New York, Ontario & Western. Photo taken at Cooperstown in February, 1903. Second No. 4 was originally New York & Oswego Midland No. 34, "Hackensack." Built by Baldwin (C/N # 2614) Nov., 1871. Sold to C.& C.V. June, 1900; to Delaware & Hudson #416, Sept. 19, 1903. Scrapped April 12, 1905.